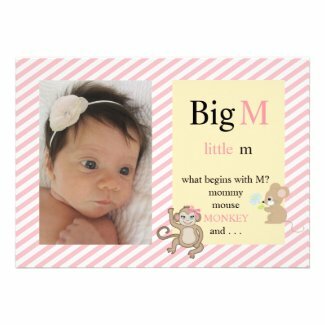 Shopping Customized: Big M, Little m ~ What begins with M? I just discovered this adorable baby announcement. I love the theme of this. It's cute, original and fun! Keep an eye out for other announcements similar to this one here.